Great big AOAT thanks to the three printing companies who hosted – between them – all 140 students in the Academy junior class this past week. Each tour was informative, engaging, and useful to these design students preparing for careers in the real world. Your employees were welcoming and gracious, answering questions and giving students printing samples to take back to class. 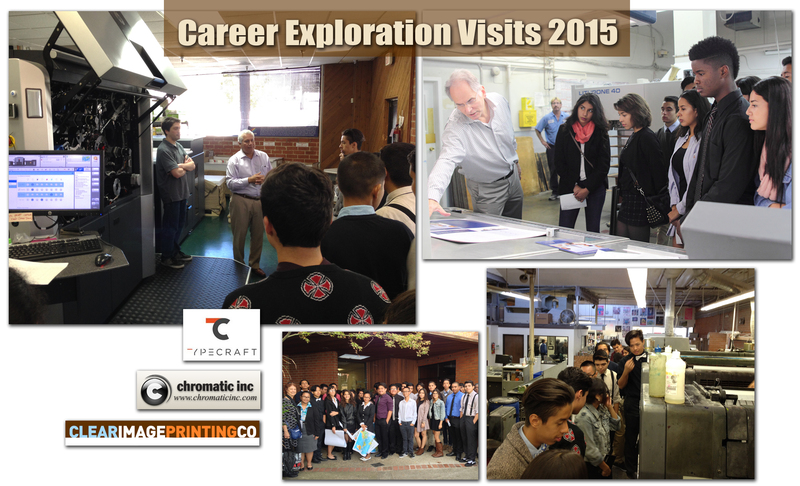 Thank you so much for your time and enthusiasm – Typecraft, Chromatic Inc., and Clear Image Printing! We couldn’t have found these generous hosts without the wonderful help of Ara at PIASC, who made the arrangements with each business owner. Thanks, Ara! And thanks as well to our AOAT Alumni who helped chaperone these trips – you are upholding our family traditions! All students prepared for this trip with ECCCO workshops including reading, writing, and researching such topics as The Endless Job List, It Takes a Village, Writing an Elevator Speech, and Transferrable Skills. They reflected after the visit on what they learned, and wrote a formal thank-you letter to their host. Next step in the AOAT junior year prep for careers: The Job Shadow! Art Club Creates Another Fabulous Homecoming Entry! Another Cleveland High School Homecoming has entered the history books. 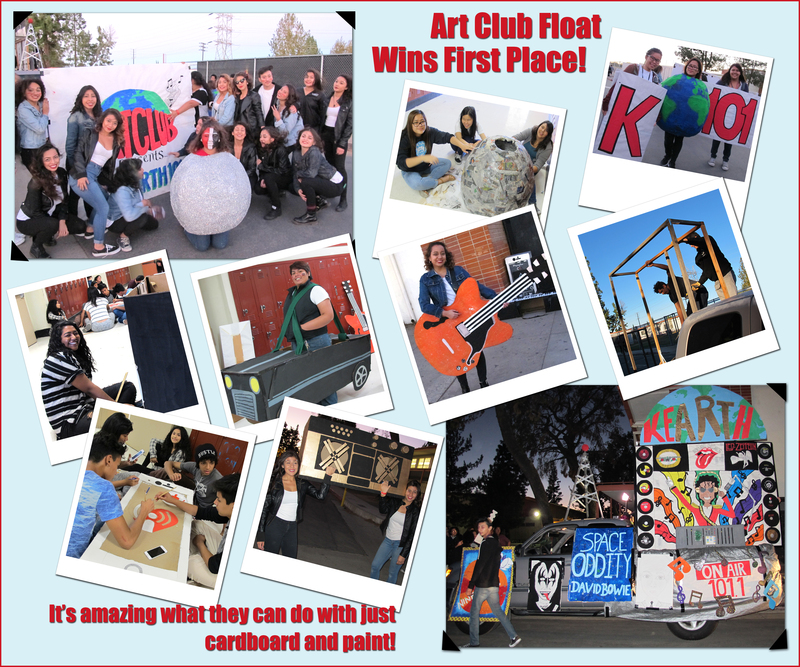 This past Friday night was an exciting and fun-filled evening for the Art Club members who had been working long hours on their float and costumes and dance routine. Club President Erika led the team effort of over thirty students who each contributed to the trophy-winning entry. Club sponsor Mr. De Gracia stayed late for weeks supervising the creative kids, and Mr. Diebold kept them in pizzas and snacks. Ms. Neustaedter also helped with supervision, and Mrs. Mercer and Ms. Prato provided their classrooms for float construction and storage. Ms. McColl choreographed and coached the dancers, and Mr. Berkowitz came out for the actual float assembly. Alum Jesus came everyday to help design and mentor clubkidz as they diligently cut cardboard and painted and paper machéd and glittered their individual parts of the fantastic float. Other alums were there for the frantic final touches before the big parade, and we all celebrated this annual renewal of our Family Spirit! Go Art Club! !